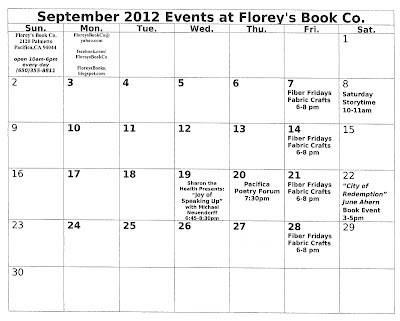 September 2012 Calendar of Events at Florey's! 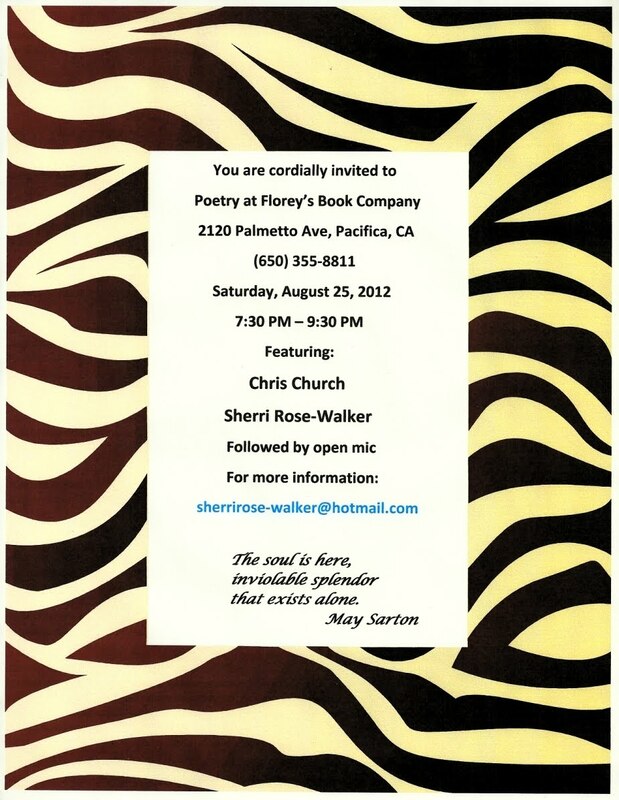 The featured poets this month are: Chris Church and Sherri Rose-Walker. 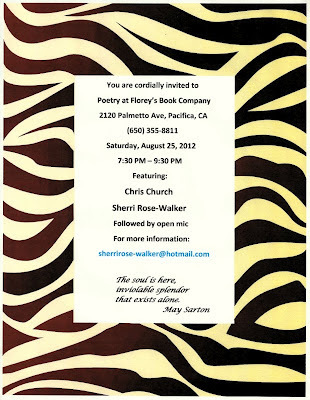 The featured poets will be followed by an open mic period. Open mic sign-up is first come, first served. This event is also open to the public and free of charge. 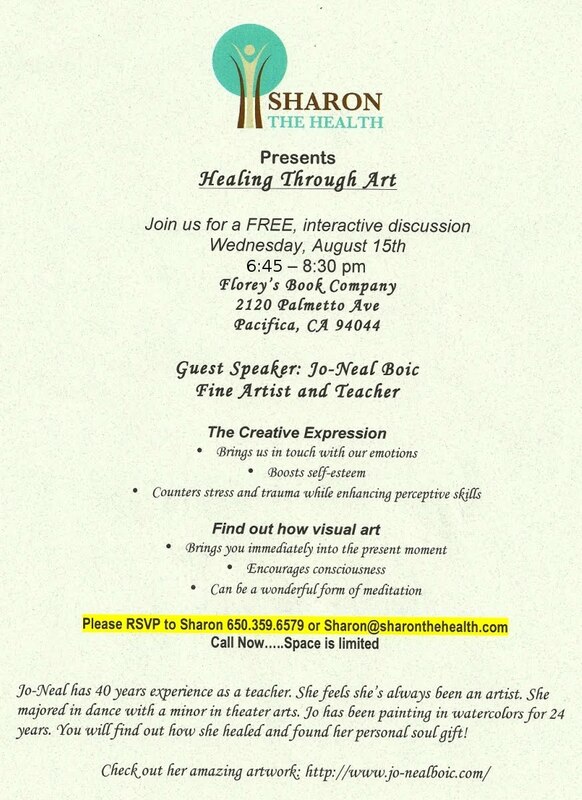 Sharon the Health Presents: Healing Through Art, Wed. Aug. 15th at Florey's! 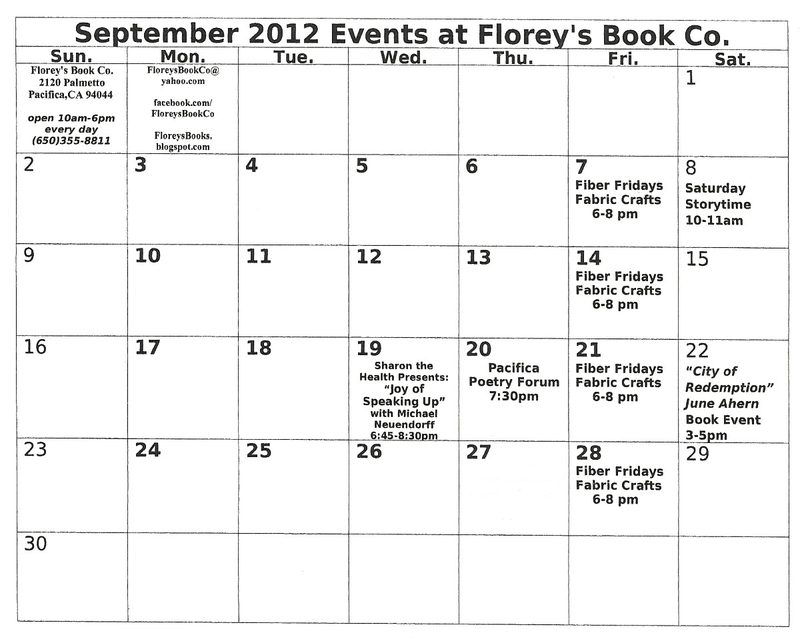 Florey's Book Co. welcomes Sharon Caren of Sharon the Health and guest speaker Jo-Neal Boic. 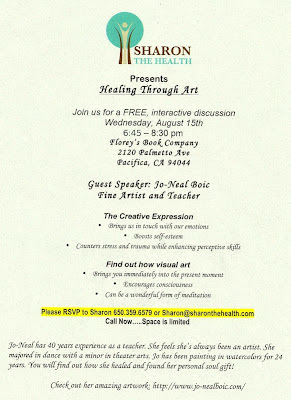 She will lead a free, interactive workshop on the topic "Healing Through Art". Creative Expression: How it can bring you in touch with your emotions, boost self-esteem, and counter stress and trauma while enhancing perceptive skills. Find out how Visual Art: Brings you immediately into the present moment, encourages consciousness, and can be a wonderful form of meditation. 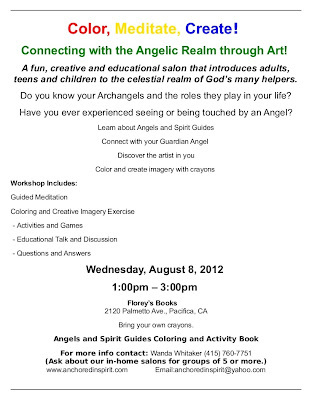 Children's Angel Meditation Salon with Wanda Whitaker, Wed. August 8th! 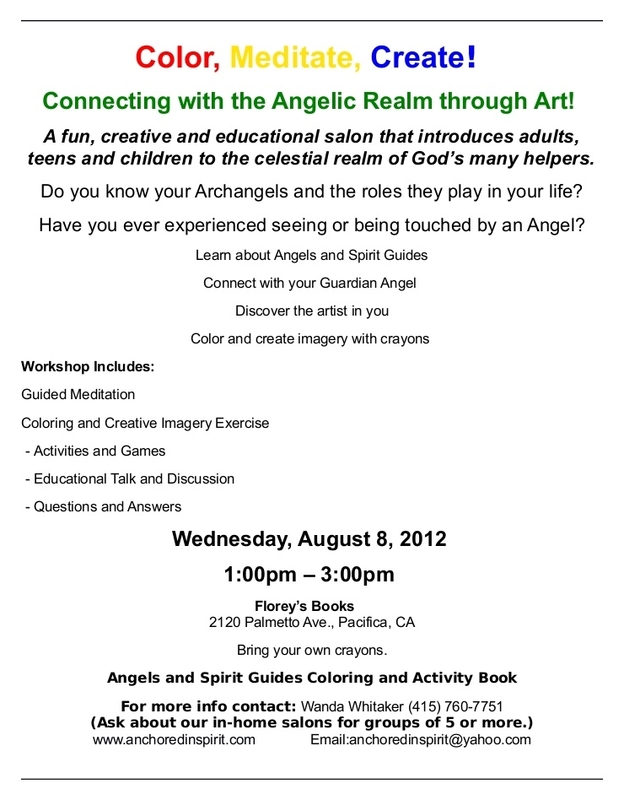 Florey's invites you to a children's Color, Meditate, and Create with the Angels Salon, hosted by Wanda Whitaker. 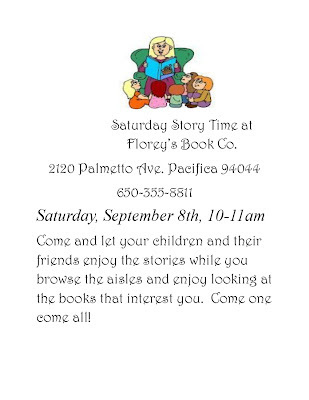 A fun and educational salon that introduces adults, teens, and children to the celestial realm of God's many helpers. Do you know your Archangels and the roles they play in your life? Have you ever experienced seeing or being touched by an Angel? We hope to see you! Bring your favorite crayons!